Machu Picchu was abandoned not long after the Spanish began their conquest of the Inca in 1532. 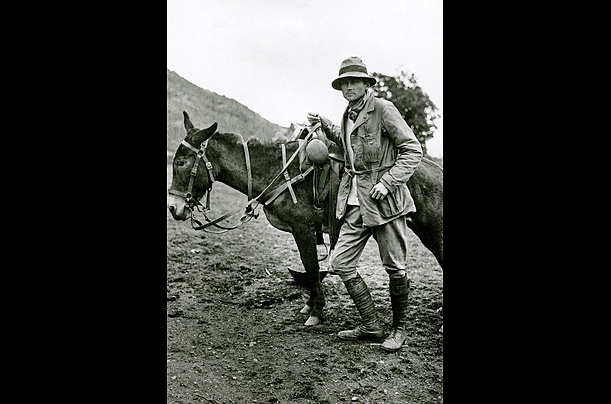 It was re-introduced to the world, on July 24, 1911 when American adventurer and archeologist Hiram Bingham, above, announced its existence to scholars. Bingham had been led to the site by Pablito Alvarez, a local eleven-year-old Quechuas boy. The complex, which had remained unknown to the Spanish conquerors, is now visited by up to 250,000 people a year.